My pregnancy with Jacob was straight forward until he decided to have reduced movement in the third trimester so I was monitored closely and induction was booked for his due date. Jacob was born March 2017 at 40+1 weeks weighing 8lb 5oz. We were on the post natal ward preparing to go home when our world was turned upside down. 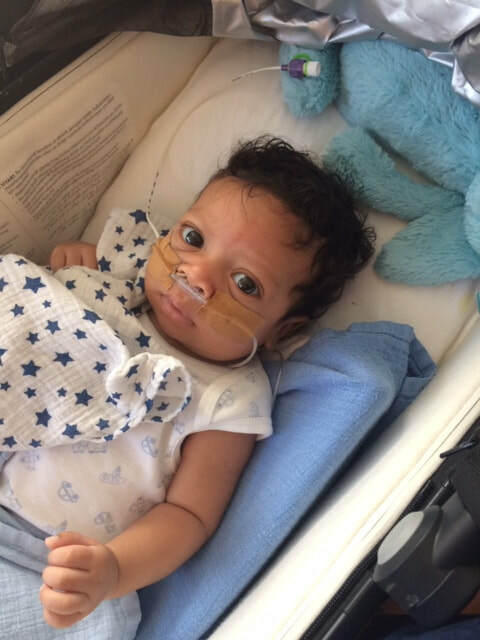 Jacob wouldn’t feed and had had nothing since he was born, he went blue and floppy and was rushed away from me by a midwife to consultant who was thankfully on the ward at the time; that’s when his NICU journey began. Jacob was rushed down to intensive care where he was worked on, bloods taken, tubes put in etc. whilst I sat in a chair next to him sobbing my heart out not knowing what was going on...the nurses were amazing at keeping me informed about what they were doing and calming me down as much as possible. Around me all I could see was tiny babies, premature babies but my little boy was full term so what was happening everything was a blur. 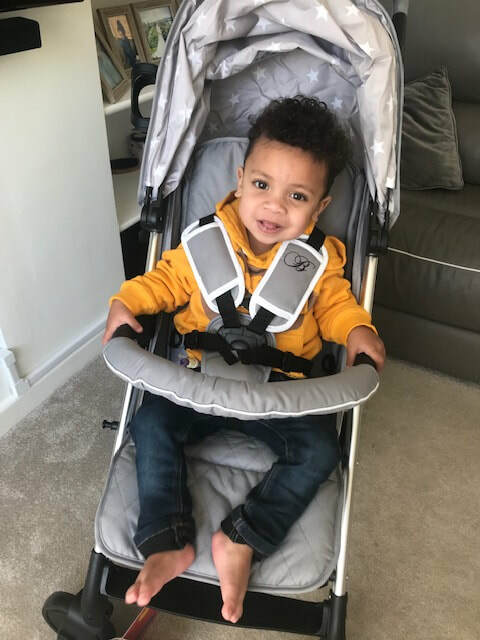 Jacob underwent a number of tests before he was transferred out to Addenbrookes in Cambridge for a week to undergo more tests but we soon returned back to Lister where he was looked after for a further 5 weeks. Jacob was known as king of the unit he would sleep in his big blue cot whilst tiny babies around him in incubators. The nurses on the unit built a special bond with Jacob and us as a family they would do whatever they could for us. It was so hard walking away from the unit every night knowing you wasn’t taking your baby home but the nurses said every time I left call as many times as you like we will look after him. Jacob eventually came home at 7 weeks old with a ng feeding tube and oxygen. The outreach team were amazing and were always visiting and at the end of the phone if we needed. There were times where they rescued me with ng tubes as Jacob would pull them out. Jacobs journey still continues to this day. Jacob has an undiagnosed swallowing difficulty and is unable to feed orally, he now has a peg fitted where he gets all his nutrients in order to grow. Jacob continues to have numerous hospital appointments and we always pop into the unit when we are in the area to say hello to the amazing nurses and doctors and thank them for everything they did for Jacob. NICU will always be a part of our life, they saved my babies life and I will be forever grateful.